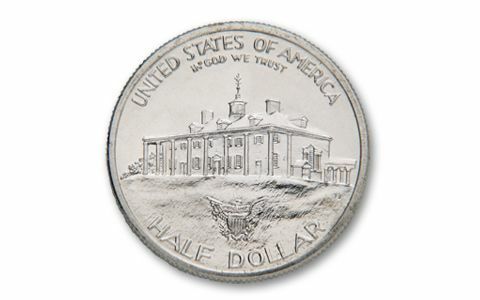 The U.S. Mint hadn't produced a commemorative half dollar since 1954. In 1982, they decided to revive the tradition. 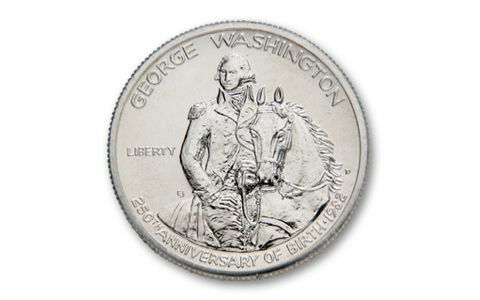 And what better subject than George Washington's 250th birthday? 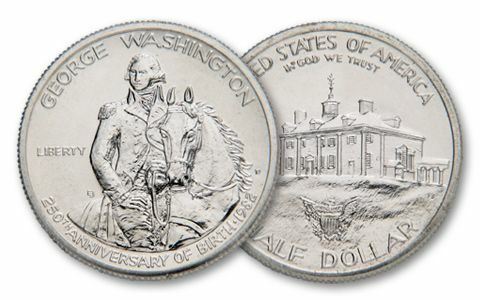 To celebrate, the mint struck these 90% silver halves in Brilliant Uncirculated (BU) and Proof condition. They feature our first president on a horse and show Mt. Vernon on the reverse. Firsts are always coveted, and this first silver half hasn't been seen in years. Here's your chance to get both versions. The Proof was minted in San Francisco and the BU in Denver.